The Bible in Politics conference was held earlier this month at St Mary’s University, Twickenham, London. St Mary’s has made the videos of the presentations available on their YouTube channel. Professor Eric Nelson (Harvard University) lectured on Jewish sources and the transformation of European political thought for the Israel Democracy Institute’s Human Rights and Judaism project, on July 9, 2012. The respondent is Professor Arye Edrei (Tel Aviv University). Nelson’s lecture concerns some of the same material covered in his book, The Hebrew Republic: Jewish Sources and the Transformation of European Political Thought (2010). Professor Douglas Thompson’s Mercer University course Biblical Texts and American History looks at historical uses of the Bible in U.S. history. One of the lectures in that course examines the impact of the Bible and religion “on the relationship between slaves and their owners during the Antebellum period”. He cited Nat Turner’s 1831 slave rebellion and Frederick Douglass’ 1845 memoir as examples of how whites and blacks interpreted biblical passages on slavery. Our very own brand of Biblical Studies Online podcast are available on iTunes. Biblical Studies Online podcasts will be a fairly regular (hopefully 1-2 every month), about 10 minutes long, and will cover a wide range of topics in Hebrew Bible/Old Testament, early Judaism, New Testament, historical criticism, reception, and more. One notable feature will be interviews with scholars in the field and the first interviews should be uploaded in the next couple of weeks. It has genuine Biblical Studies Online artwork but there is no introductory jingle as you may have heard with other leading biblical studies podcasters. The first podcast is on reception history and biblical studies. 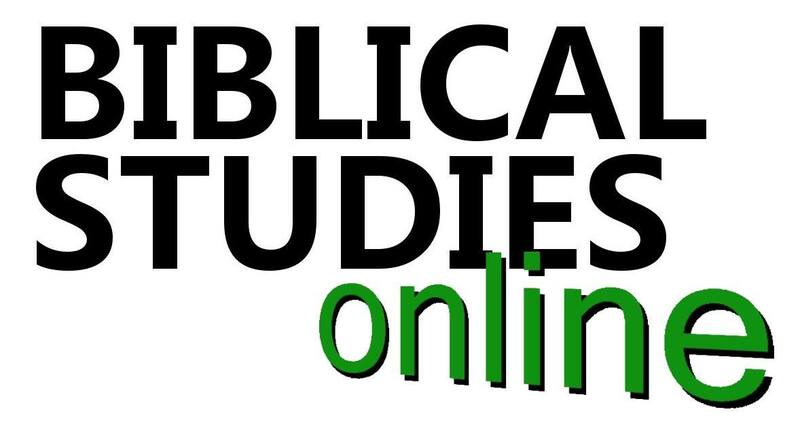 In this podcast, James Crossley (University of Sheffield) introduces Biblical Studies Online podcasts and the general aims. It looks at issues of historical criticism and reception history and whether there should even be a distinction between the two. James Crossley’s lecture of Margaret Thatcher and the Bible in English politics is available for download and listening (mp3 here) and on YouTube. …a lecture given on 17th January 2014 at the University of Edinburgh. It’s on Margaret Thatcher, her use of the Bible and how a modified form Thatcher’s Bible became the Bible of English politics. Rob Marshall interviews James Crossley about his book, Jesus in an Age of Neoliberalism (2012). The interview is available on Crossley’s webpage at the University of Sheffield. In addition to the episodes listed above, there are episodes on a range of topics and individuals which will be directly relevant to certain areas of biblical studies research (e.g. Plato, Pliny, Roman satire, Wyclif, Erasmus, Milton, historiography, cultural memory).